If there was ever an Exotics at RTC Saturday event we would attend it would be Porsche Day. 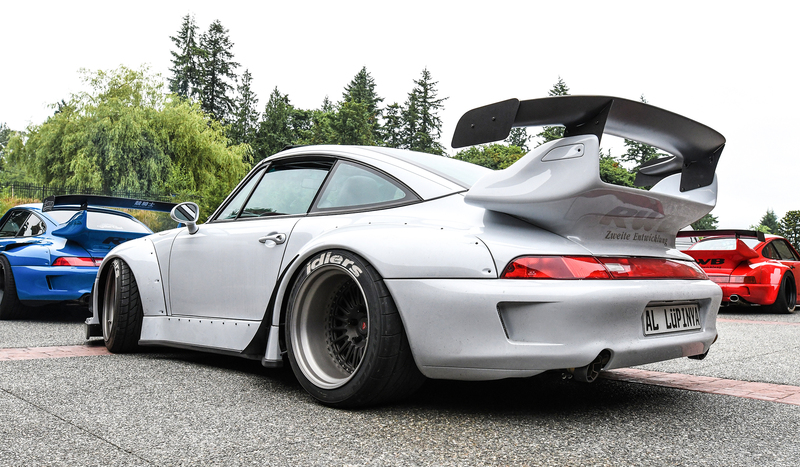 Especially when the majority of the PNW RWB crew are in attendance. This should come as no surprise to you as a regular on our blog and spinasquaredIG page. (Thank you for following!) After having returned from Portland the weekend before and already having “build withdrawals” we were very much excited to see Samurai again, Portland’s latest Akira Nakai created masterpiece. Our attention was drawn to just about every 911 there and we didn’t feel like getting too caught up with photography as we also wanted to mingle a bit. Please excuse the lack of photos. We did spend a little more time around this one though. While the Redmond Town Center hosted event is only a few hours long it’s just enough time to take in the beautiful collection of cars before heading out to enjoy the rest of your Saturday. If you’re ever in the area it’s worth stopping by to check things out.